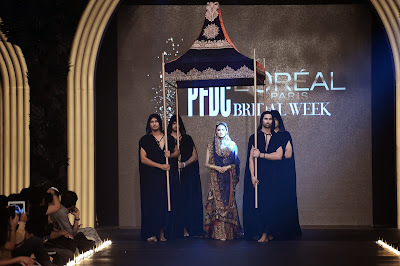 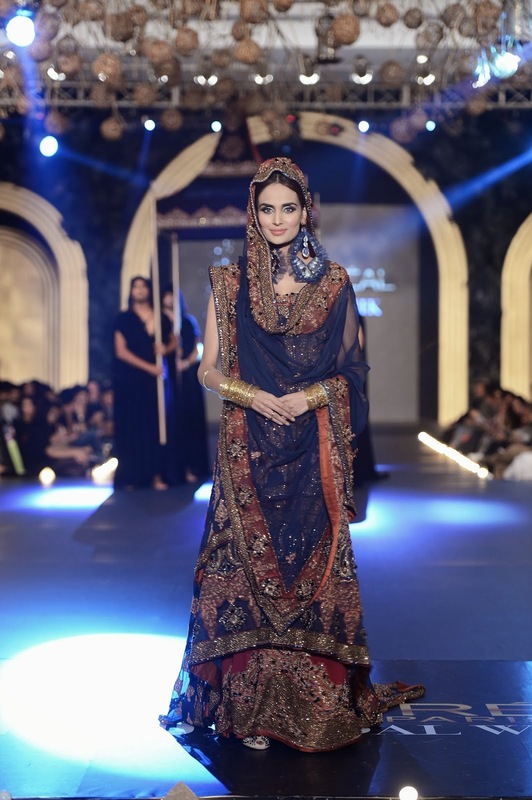 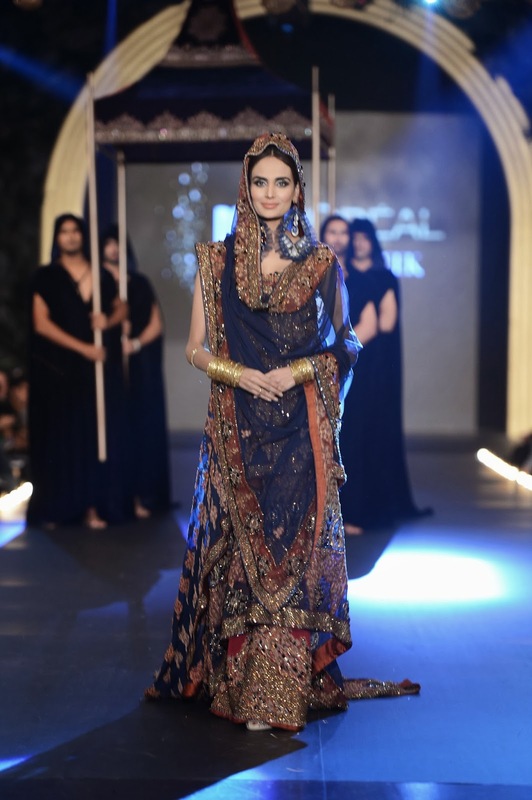 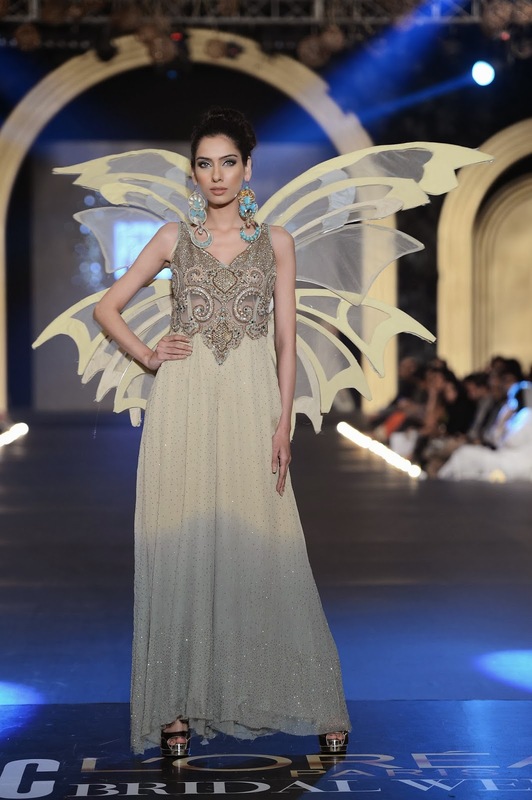 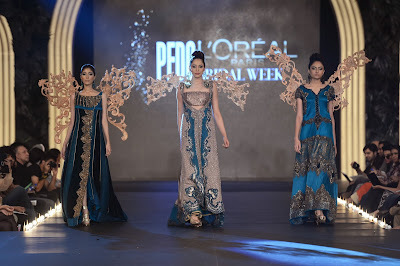 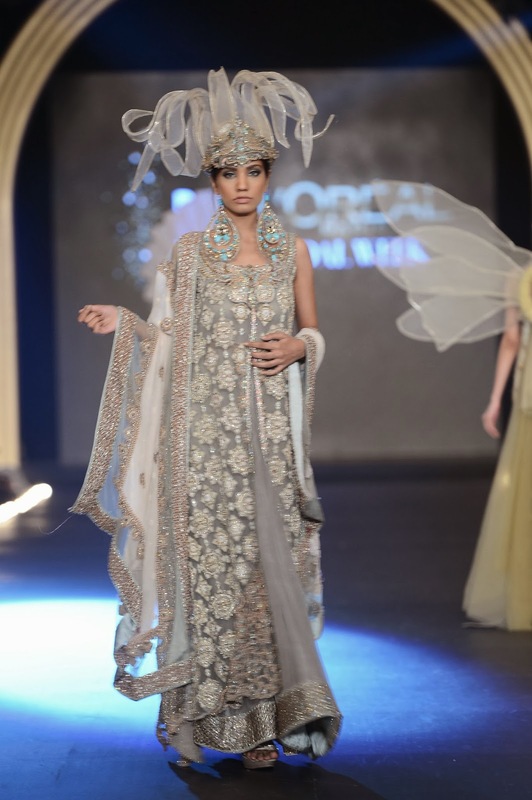 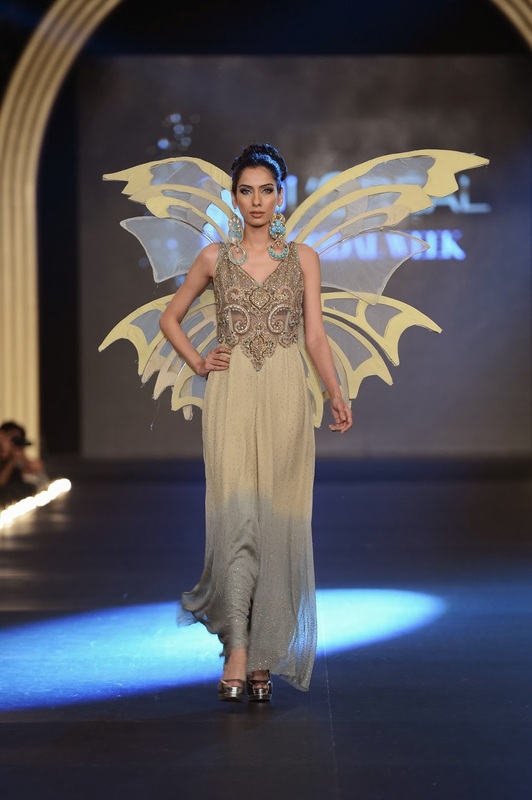 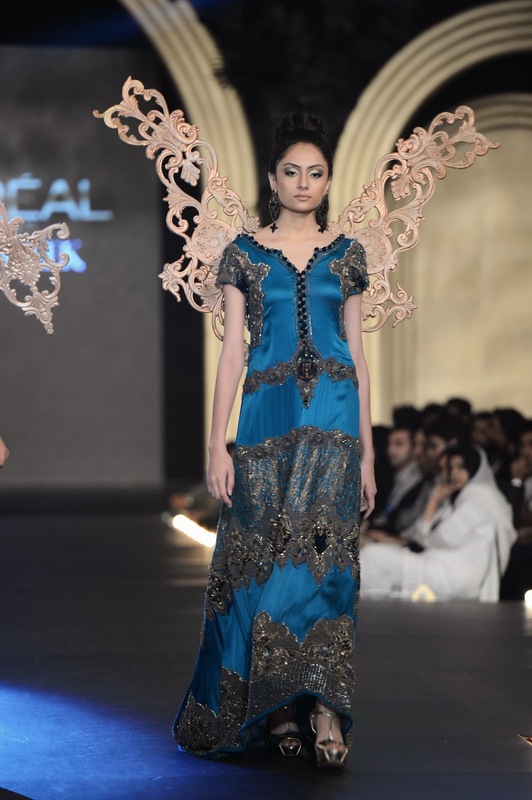 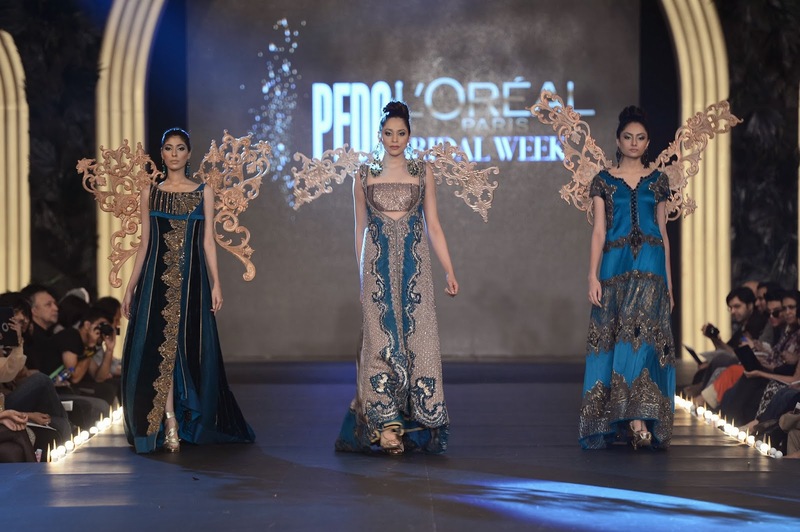 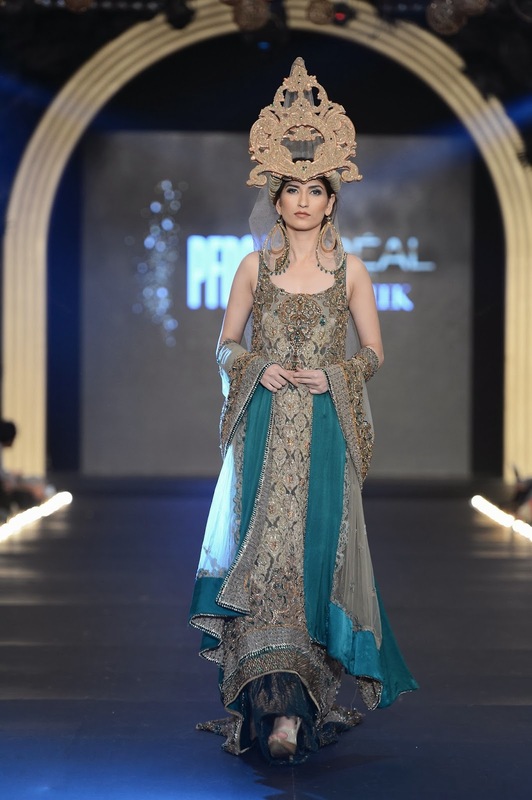 Sonia Azhar’s bridal week collection for PFDC L’Oréal Paris Bridal Week 2013 was titled ‘Divine Unison’. 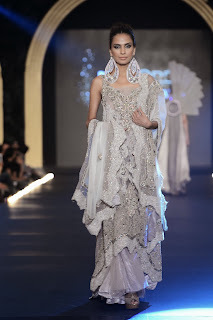 The collection drew inspiration from the ‘Woman’ herself, particularly the bride who in this role takes on an angelic form of holiness and unearthliness. 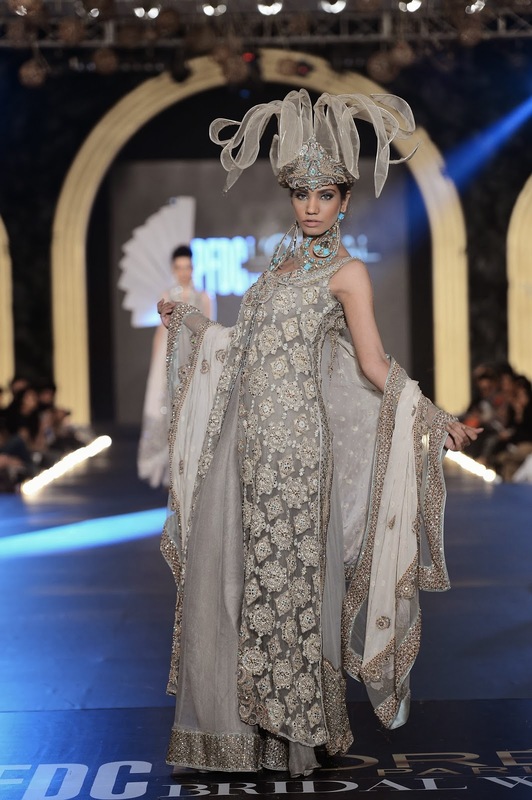 ‘Divine Unison’ featured an amalgamation of different fabrics which enhanced the textured surfaces of the ensembles, further embellished through stone and thread work. 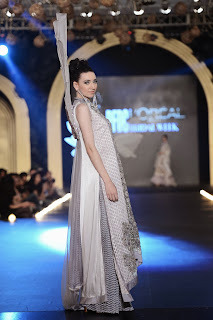 Structured cuts, varied lengths, lesser volume and more linear lines in purple hues were seen that progressed to whites, peaches and emerald greens.